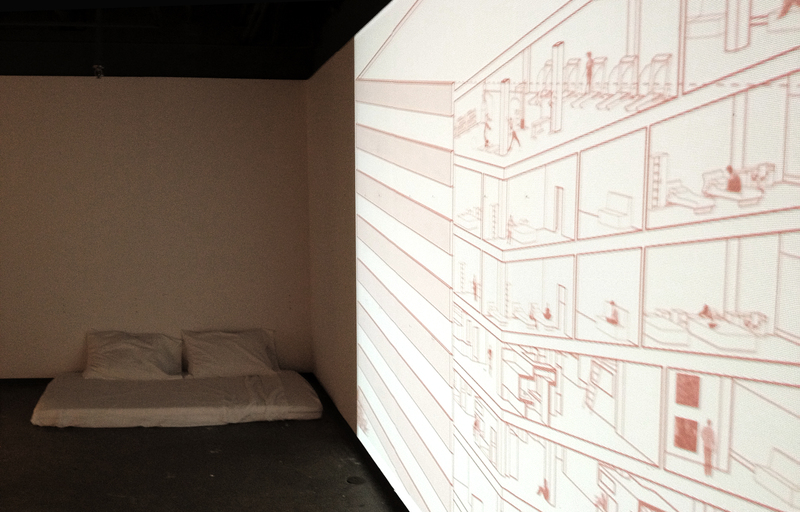 POST-SQUAT NL exhibit in A+A gallery | POST-SQUAT NL is a research and design initiative which focuses on alternatives in habitation in light of the illegalization of squatting in the Netherlands. The work examines the new landscape of post-bubble economies investigating the issues of vacancy, temporary use, and reuse. 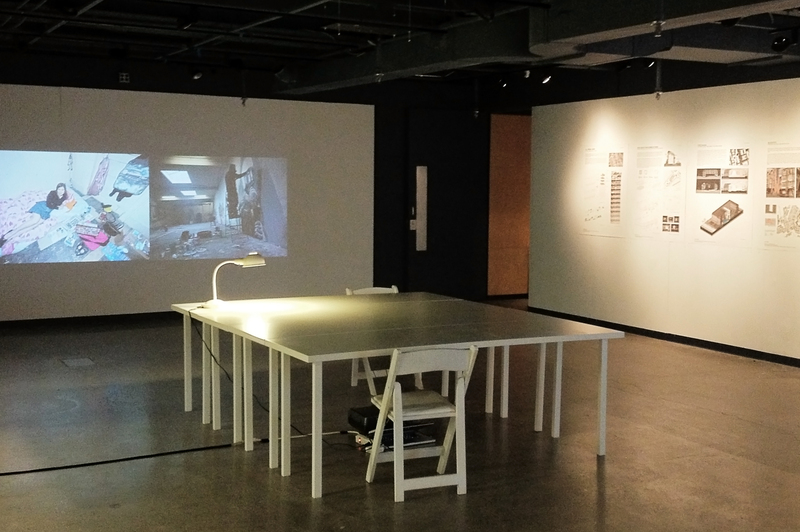 The design projects explore the potential in re-examining the typical processes in the structuring of architectural projects, reconsidering the area between bottom-up and top down hierarchies, public and private realms, and the future of the role of the architect. 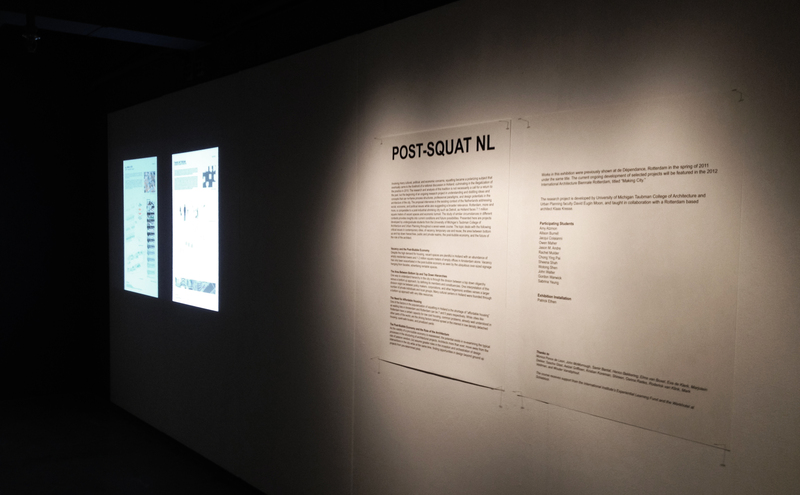 ← POST-SQUAT NL presented to the City of Rotterdam officials and invited to participate in the 5th IABR (International Architecture Biennale Rotterdam).